Golden Phoenix is Kasma's favorite brand of Jasmine Rice. 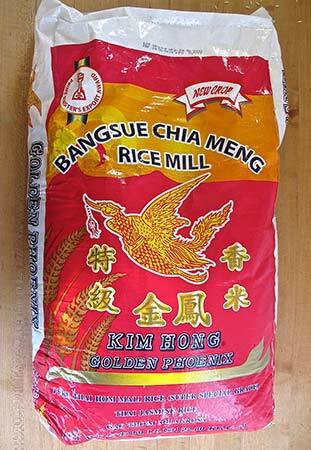 When buying jasmine rice, make sure the sack identifies the grain as jasmine, fragrant or scented rice, as Thailand does produce other varieties of rice. It may have the words Thai Hom Mali. Make sure the rice is from Thailand.